Over the past few weeks, you’ve probably heard the news about the EPA’s plans to set carbon pollution standards to reduce carbon emissions from existing power plants. This is great news! As part of President Obama’s Climate Action Plan, the EPA is working to develop guidelines for reducing emissions, which individual states will use to design their own programs. Registration, which can be done online here, is highly recommended. 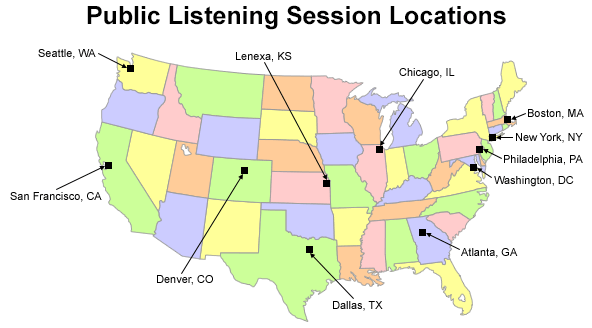 If you cannot attend one of the sessions, you can submit comments on this EPA webpage or via email to carbonpollutioninput@epa.gov. Need tips for crafting your input? This webpage has some useful information to help you understand the issue.